If you are suffering from pain and require a Discography, training and experience must rank high on your list when choosing a physician to perform the procedure safely and with technical precision in order to give you the best chance of a successful outcome by significantly reducing or eliminating your pain. With over 8 years of experience, our caring, highly qualified, and technically skilled ABMS Board Certified and ACGME fellowship trained Interventional Pain Doctor can help. Lumbar provocative discography (also referred to as “discography” or discogram) is an invasive diagnostic procedure for evaluation for intervertebral disc pathology. It is usually reserved for persons with persistent, severe low back pain (LBP) who have abnormal spaces between vertebra on magnetic resonance imaging (MRI), where other diagnostic tests have failed to reveal clear confirmation of a suspected disc as the source of pain, and surgical intervention is being considered. Needles are inserted through the back into the disc near the suspect area, guided by fluoroscope imaging. 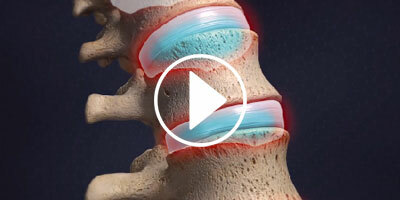 Fluid is then injected to pressurize the disc, any pain responses are recorded. This is repeated in random order for the various discs, without the patient knowing which disc is pressurized. This can be used to detect patients who may be exaggerating their symptoms, or to assess their pain response and hence their suitability for recovery from possible surgery (often a Discectomy). We offer the entire spectrum of state-of-the-art minimally invasive spine and pain management procedures. We accurately diagnose and treat back and neck pain, headache, RSD, joint pain, nerve pain, and many other types of pain.